Cheaper. After the review of the N56VZ with the powerful GeForce GT 650M, we will now have a look at the cheaper model with a GeForce GT 630M. 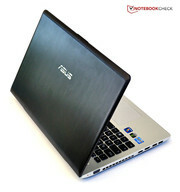 In addition to our in-depth review of the Asus N56VZ with the GeForce GT 650M, we want to briefly take a look at the cheaper model with a GeForce GT 630M. Otherwise, the rest of the specifications (including the CPU and HDD) are identical, but for a total of about 50 Euro (~60 USD) less. 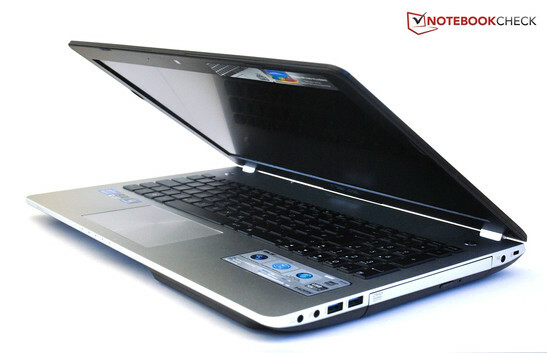 Our test sample is a slightly modified pre-production unit of the N56VM series which Intel has provided for the purposes of benchmarking Ivy Bridge. 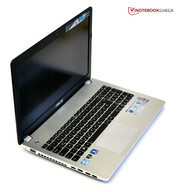 Contrary to the series, it features the faster Core i7-3720QM and the HDMI-out is connected to the integrated Intel HD Graphics 4000 (according to Intel). Furthermore, the pre-installed Nvidia driver was a little older and even preferred the HD 4000 when launching games. The following article will only briefly cover the performance of the GT 630M and the matte FullHD display, as our test sample features a different display than the N56VZ series sample. The matte 16:9 FullHD display in our test sample is based on a LG Philips LP156WF1. Much to our surprise it was about 100cd/m² brighter than the Samsung 156HT01-201 in our N56VM production model. The same black value of 0.58 cd/m² remains, however, so the contrast has increased to 700:1. Therefore, the test sample is more appropriate for outdoor use and convinces with decent screen legibility. The GeForce cards of the 600M series allow the manufacturer to adjust the clock rates when under load depending on the effectiveness of the cooling system. Although the GeForce GT 630M with 96 Shadern and DDR3 graphics memory is still based on the old Fermi chip of the GeForce GT 540M, the N56VM significantly increases the clock rate under load and reaches levels close to that of the old GT 550M. While Nvidia's system information only displays a meager 475/950 MHz (core/memory), GPU-z lists a core speed of 660 - 897 MHz depending on the version. The 3DMark results range between the faster GT 550M and the slowest GT 555M. Of course, the powerful Core i7-3720QM has an impact here. 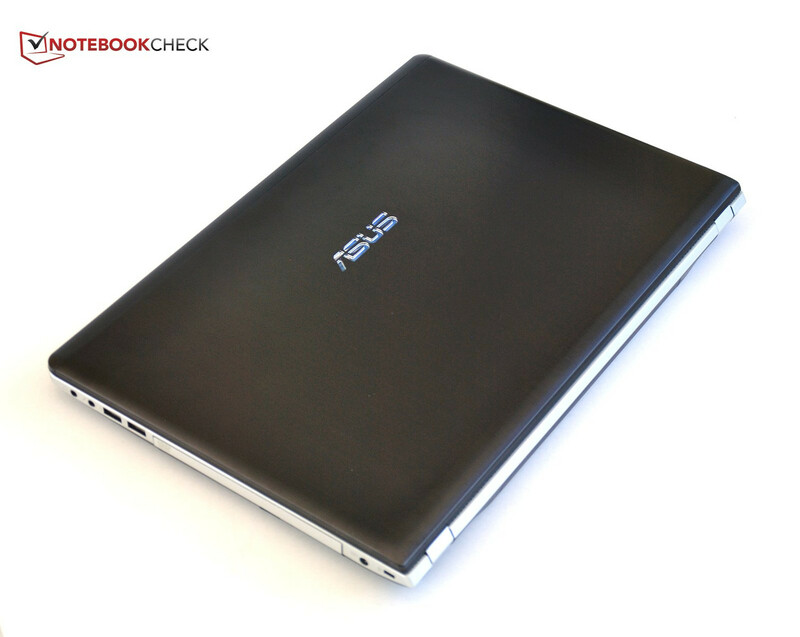 Thanks to its faster CPU and hard drive configuration, our test sample can clearly outperform the N56VZ production model in PCMark 7 by about 33 percent. However the lead shrinks a little bit as the GT 630M is is weaker card than the GT 650M. The built-in Seagate ST9750420AS is a conventional HDD with a 750 GB capacity. The drive transfer average of 90 MB/s places it as a mid-range 7200 rpm hard drive. The fastest HDDs currently achieve slightly more than 100 MB/s. However, compared to the Seagate Momentus SpinPoint M8 ST1000LM024 in the N56VZ sample, the Seagate here is significantly faster. In demanding games like Risen 2 or Max Payne 3, the GT 630M cannot achieve smooth frame rates beyond medium details. Older games or less demanding ones like Diablo 3 can be played at high details. Overall, only a handful of games can be played in the native 1080p display resolution. (±) The average temperature for the upper side under maximal load is 34.7 °C / 94 F, compared to the average of 30.9 °C / 88 F for the devices in the class Multimedia. 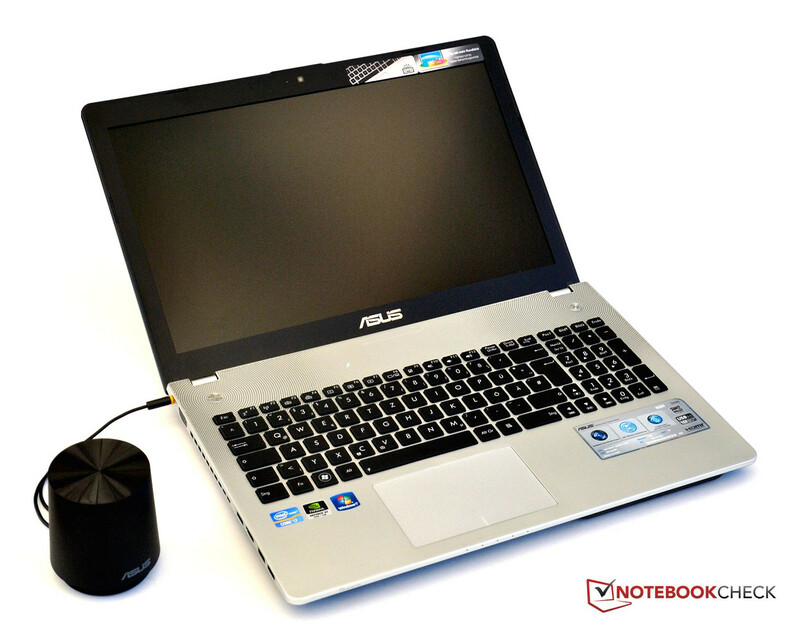 Despite its higher clock rate, the GeForce GT 630M cannot keep up with the faster GT 650M in the Asus N56VZ. As a result, the surcharge of 50 Euro (~60 USD) is indeed recommended for gamers. With that said, casual gamers will be content with the performance of the GT 630M. Similar to the N56VZ, the overall impression of this particular model is positive. We especially like the bright and improved matte FullHD display. But, it is uncertain for now whether or not the buyer will end up with a Philips or Samsung display or even a display from another manufacturer. The system noise should also be mentioned with a high note. Fan noise is low and the speakers have a high maximum volume. We also discovered several points of critique. We would like to see two separate mouse buttons and a DisplayPort for connecting high resolution displays as HDMI is currently limited to 1920x1200 pixels. We also did not like the positioning of the interfaces and the somewhat heavy weight. At a price of about 1000 Euro (~1230 USD) for each model, we believe that both models are priced fairly considering the performance. The matte and bright FullHD Display. DisplayPort and separate mouse buttons. 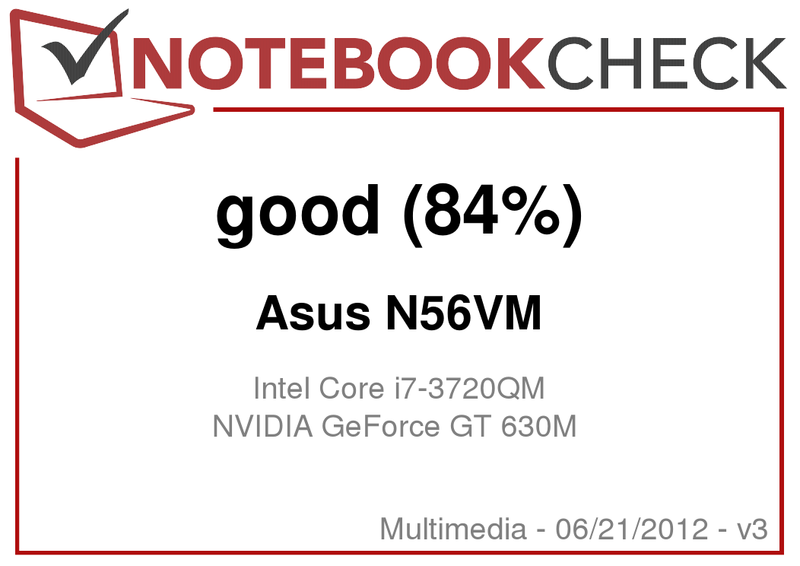 Without doubt the GT 650M in the Asus N56VZ.